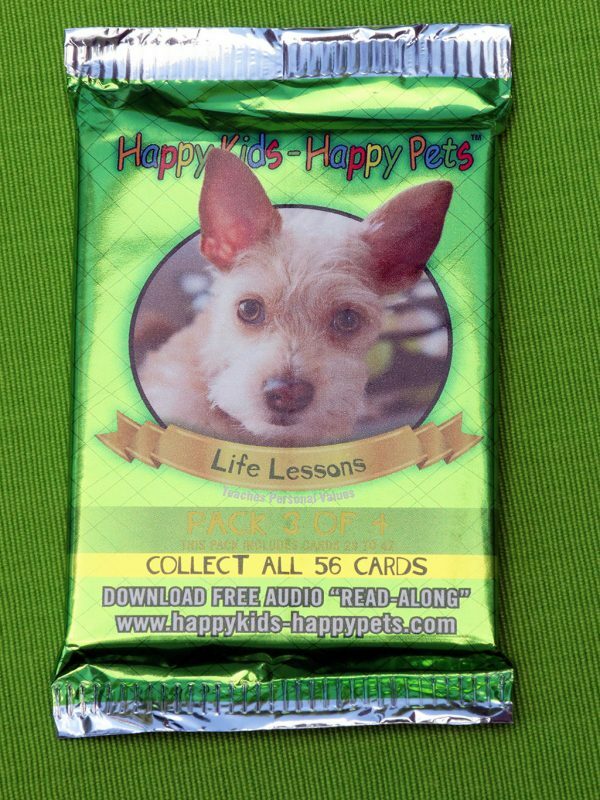 Four packs of fourteen cards each about Life Lessons, including digital audio downloads! Do you worry too much? Are you fearful? 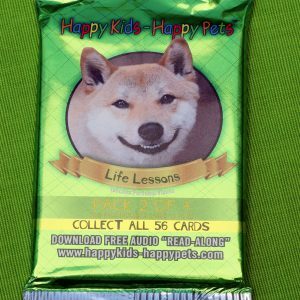 Pack # 2 has helpful stories on being OK with who you are. Do you brag about the things you have? How are you with sharing? You might want to check Pack #3 to find out more. Ever hang out with someone who interrupts a lot? Are you sensitive to others’ needs? 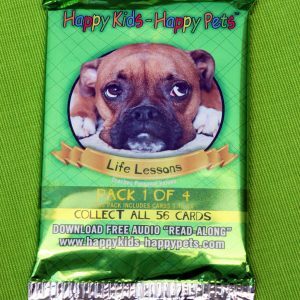 Pack #4 is just the place to find some good tips on being more respectful for yourself and others. 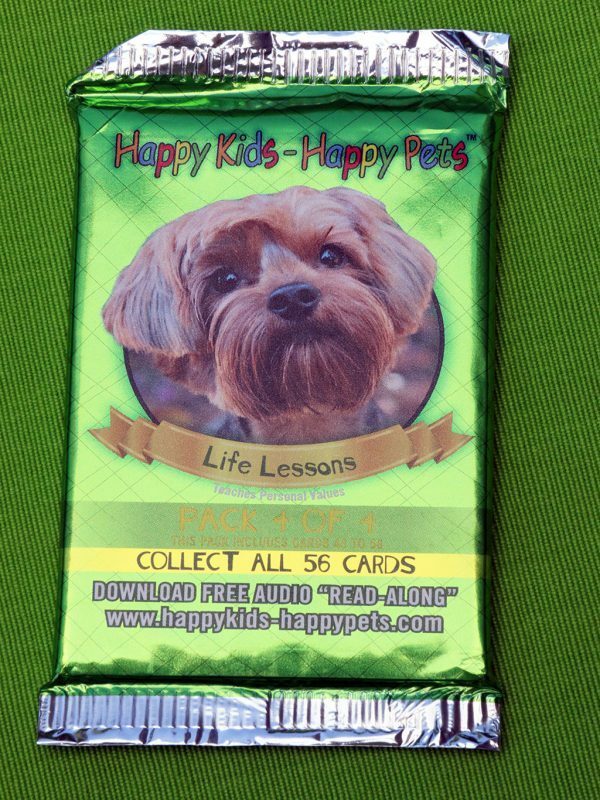 Our Trading Cards feature stories which are “written” by dogs, and since children relate well to animals they can learn and enjoy the lessons in these important stories. 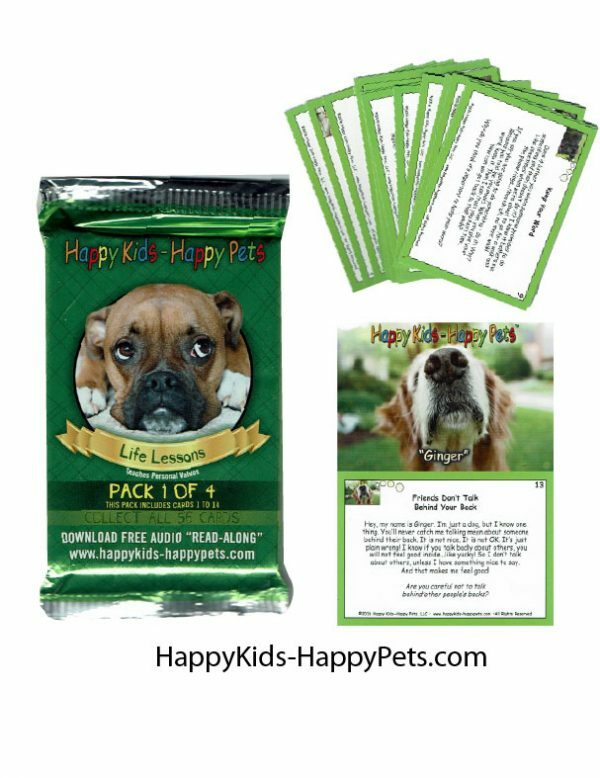 The cards serve as a useful tools for parents, caretakers, and educators and the kids love them! 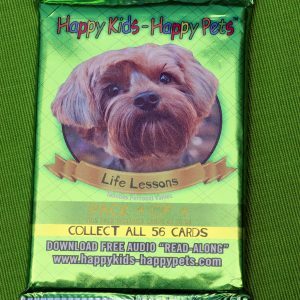 There are four packs in this “Life Lessons” series of collectible trading-size cards. 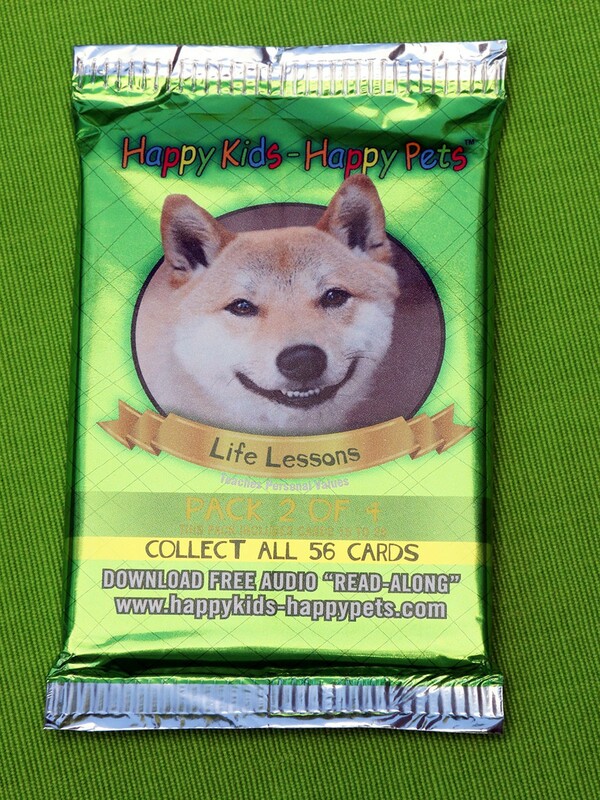 Each packet has fourteen lesson cards. 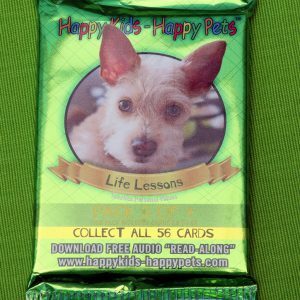 The front side of each card presents a precious, often funny, portrait of a dog, and on the reverse side features a less than one minute “Read-A-Long Story” with an accompanying free audio digital download that can be found on our website. 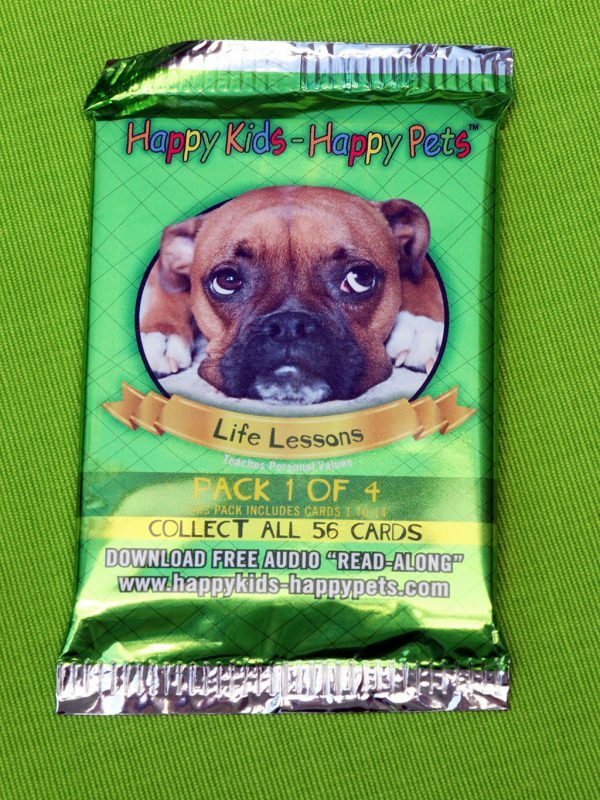 Kids can read the cards while following along with the audio or just listen while they look at the photos of the dogs, either alone or with others. The messages truly come to life with wonderful sound effects. 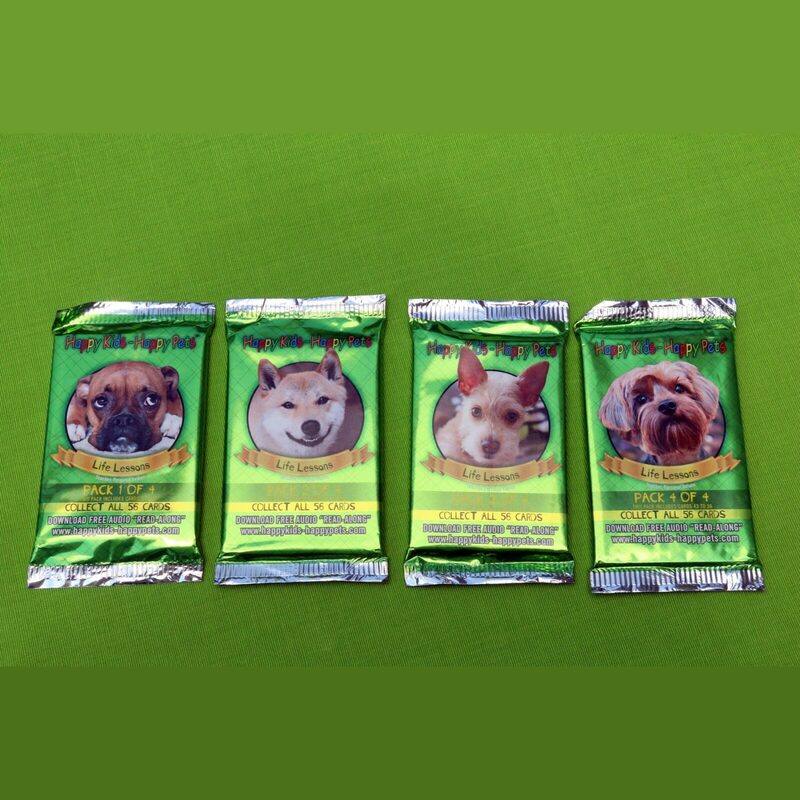 The children can spend hours looking at the photos, while listening to the stories and making “best friends” with their favorite pets!